If this isn’t pure luck, then I don’t know what it is. Reddit user djrjr is a frequent shopper at his local Goodwill store. 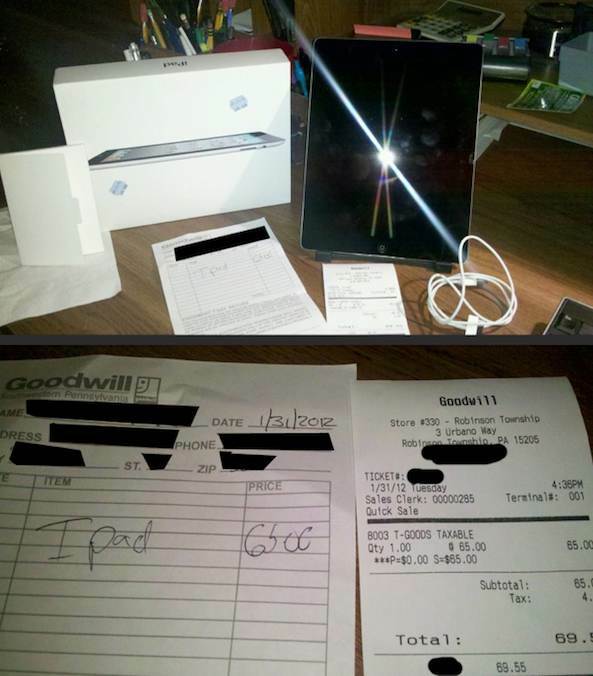 A few days ago, as he was browsing the store, he came across a brand new 32GB iPad 2 wifi in the box, selling for $65. I am a constant shopper at Goodwill, they get a fair amount of money from me for everyday things. The thing is if I hadn’t bought it would’ve sold almost instantly for the same price. I don’t feel dirty or shameful buying it from them, I checked with the manager twice to make sure this was correct and he insisted that it was right. I even told him how much it is worth and he still said that was the right price. I donate old/unwanted items to Goodwill a lot too so I’ll sleep fine tonight. It is unclear how this iPad got on the Goodwill shelves for such a low price. 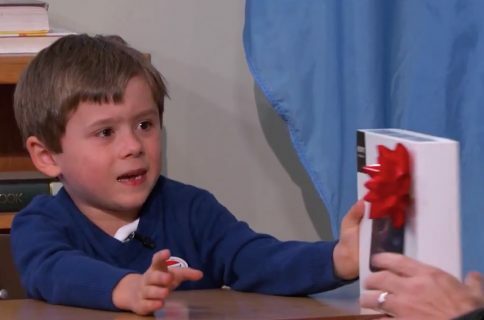 One thing is sure, this dude got an awesome deal that he sure won’t find anywhere else.